Everything went great last weekend, thank you for the great memory! Everything went great last weekend, thank you for the great memory! Peter (chauffeur) was very good and provided excellent service. If renting again we will definitely go with your company and highly recommend it to friends and family. I know if we want to book a limo in the future, we will be using you guys again! Everyone had SUCH a wonderful time! Thank you for everything and Peter (chauffeur) stopping at that spot for nice pictures was a great surprise! I know if we want to book a limo in the future, we will be using you guys again! Thank you! From booking to the end of the event, the service was impeccable. Used their services for my sisters 50th b'day party. From booking to the end of the event, the service was impeccable. Highly recommend this limo service! The service was excellent! We were all very impressed. The limo was clean and spacious. Mike (chauffeur) was very nice and courteous. 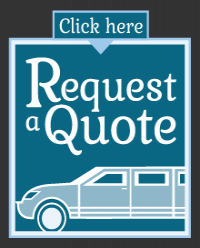 I would highly recommend your services to anyone I know looking for a limo rental. Thanks so much for helping me organize my Anniversary celebration. Everything was perfect! Our chauffeur, Mike, was wonderful. Our guests had nothing but great feedback and reviews for the services you guys provided! Thanks so much! We had a great day and couldn’t be happier with how things turned out. Our guests had nothing but great feedback and reviews for the services you guys provided! We are very satisfied customers! Will recommend you to others in the future! Thanks again for all of your help, and for giving us a great time. Everything was great. We had a fantastic time and Shawn was an awesome chauffeur. Thanks again for all of your help, and for giving us a great time.